Harmony Exceptional Exfoliation treatments gently exfoliate the skin to unclog pores, treat blemished skin and accelerate skin turnover to improve fine lines, wrinkles, dehydration and moisture. 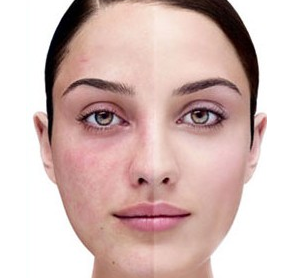 A series of 5 treatments at weekly or bi-monthly intervals is recommended for best results. 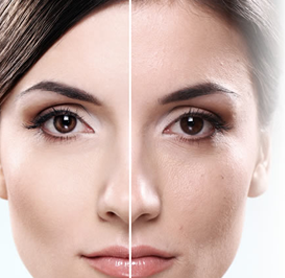 These treatments are available as an enhancement to our 30-minute Skin Treatment. • Improves product penetration and treatment results. 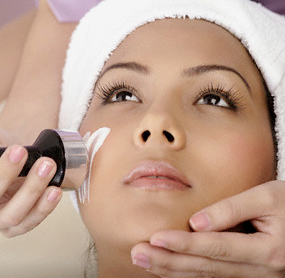 Mechanical Exfoliation: The dead skin cells are physically rubbed off with an abrasive. Examples of mechanical exfoliation include a salt glow, a body scrub that might use sugar or coffee grounds, or skin brushing. On the face, scrubs should use small, round, gentle abrasives like jojoba beads. A more aggressive and effective approach to mechanical exfoliation is Microdermabrasion, which comes in two types - crystal and crystal-free, or diamond-tip. Chemical Exfoliation: Enzymes, alphahydroxy acids (AHAs) or beta hydroxy acids (BHAS) loosen the glue-like substance that holds the cells together, allowing them to slough away. Facial peels are a form of chemical exfoliation. Chemical peels can either be very gentle or very strong.